Polish is spoken by about 45 million people in the world. 38 million polish speakers live in Poland where it is the official language. A large number of Polish - speaking people live in Lithuania, Ukraine, Belarus and USA. First words we can learn in the target language of the month. What is your name? Jak masz na imie? My name is Juliana. Mam na imie Juliana. How old are you ? Ile masz lat? I am 5 years old. Mam piec lat. 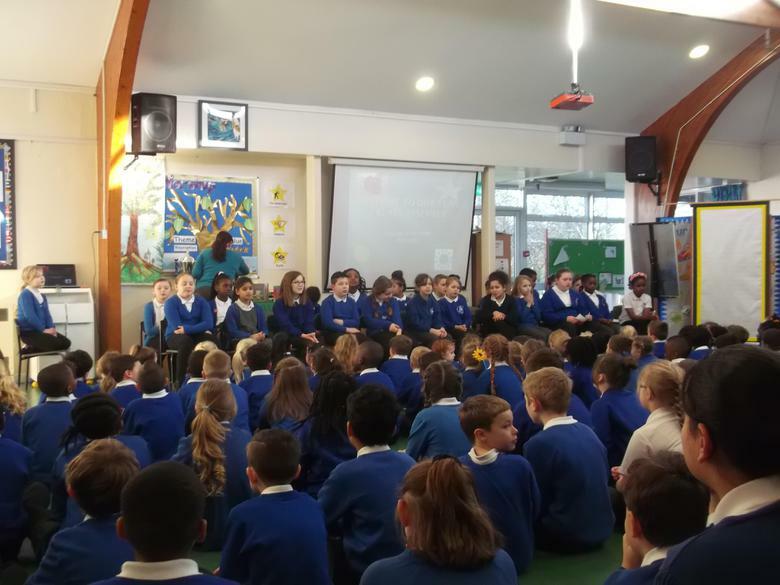 Year 5 sharing what they learnt about Language of the Month by doing an class assembly .